"Charles was standing next to King. 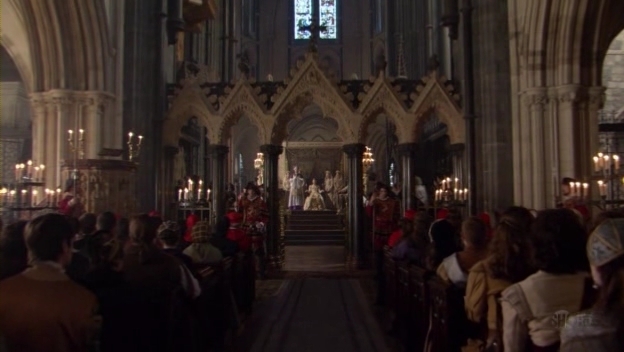 All court was there for the Coronation ceremony. Wearing his traditional crown like others King's men, he had a serious expression on his face. He never liked Anne. 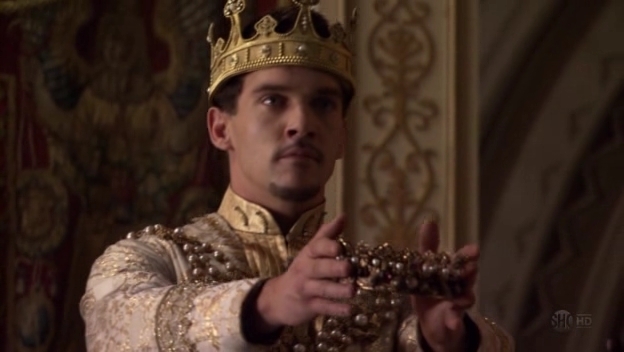 But this was his duty towards the King"
Inigo was formally invited to attend Anne Boleyn's coronation. As spanish ambassador, he had to be there to represent his King, Emperor Charles. In spite of he was Katherine of Aragon's nephew, he needed to send someone there to have a detailed report at Inigo's return to Spain. William could not stand at Charles Brandon's side. But he was there for him. He took place among commoners and kept on looking around. He was wondering if Margery was there. He hadn't seen her since months. Hopefully, he glanced towards entrance sometime. But then he sighed and shook slowly his head. Even if she came, she would never notice him among the crowd. And even if she noticed him, she would never accept talking with him..or his attention. She was too young for him. He was wondering if he should forget her..
O come holy spirit implant in our hearts, that which you have made, your grace through you alone we know the father. Be this our constant belief, that you proceed from him. Illuminate our senses, fill our hearts with love, diminish our bodily desires, strengthen our virtues always. 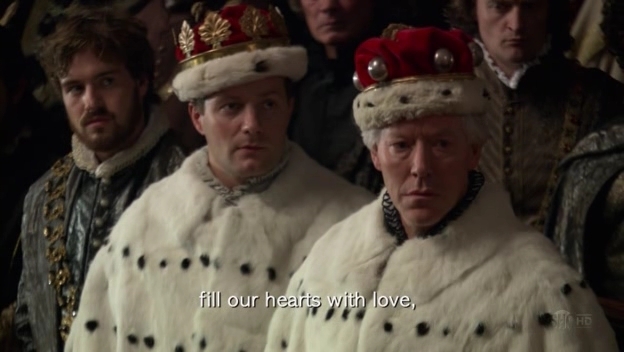 Catherine was looking at Charles throughout the coronation she knew that he struggled being here as he did not like the Boleyn's but his loyalty to the king made him turn up and accept place the king had offered him. Wait! 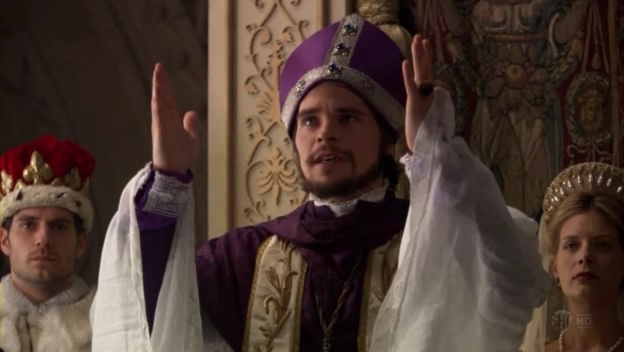 Give it to me..
With this Saint Edward's crown, I solemnly crown you...Queen of England! The choir sings and all eye's are on Anne. The crowd stares on in wonderment as the king himself, places the crown upon her head. It was a hot summer and i for one could not wait for the merrymaking to begin. Anne sat regally upon St. Edward’s Chair and cemented her spot in history. With only three months to go ; Anne could not wait to give Henry his heir. 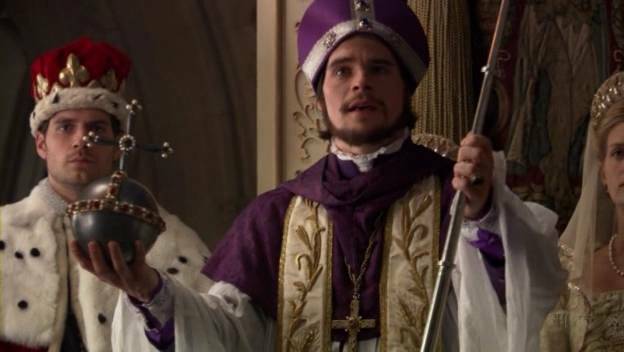 Just four days before this very coronation our marriage was proclaimed valid after years and years of fighting with the pope, the emperor and dowager princess. Thomas Cramner: And here are the two sceptres of the sovereign. Honor and grace be to our Queen Anne. May you prosper, go forward, and may you bear a new son with the king's blood. As Anne was crowned Queen of England 1,000 gun salute were fired in honor from the tower of london and the king's ships.